MAZDA 323 C IV (BG) 1.3 49kW dal 09-1989 al 07-1994 [Codice motore[=>]B383 -- Anno fino a[=>]03/1991]. Informazioni sul Sistema Accensione BOSCH. MAZDA 323 C IV (BG) 1.3 49kW dal 09-1989 al 07-1994 [Codice motore[=>]B383 -- Anno fino a[=>]03/1991]. MAZDA[=>]141018110. MAZDA[=>]B60118110. Informazioni sul Sistema Accensione BOSCH. KIA[=>]KK15118110. 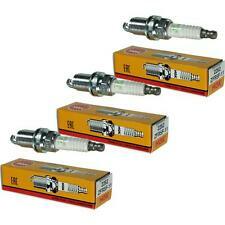 Denso Iridium OE. 0.7mm Ultra-fine Iridium center electrode. Factory fitted in Honda, Hyundai, Kia, Lexus, Nissan, Mitsubishi, Mazda, Subaru, Toyota & Volvo vehicles. Copper core. 20 percent! 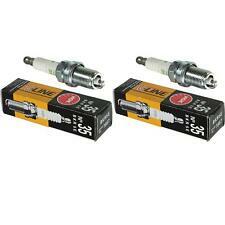 Spark plugs should be torqued/tightened down with a dry thread only. 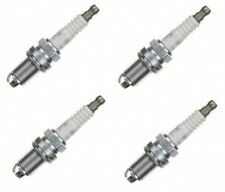 4 bujías NGK IRIDIUM IX 3764 BKR6EIX-11. ORIGINAL 4 x NGK IRIDIUM IX Chispa. ¿Quiénes somos?. Oberflächenbeschaffenheit NEU.